Things in NZ have been amazing. I was able to make it to one of the local beaches with some friends this last Thursday. All the names of places here are annoying to remember and pronounce correctly but I am starting to get the hang of most of the common ones. 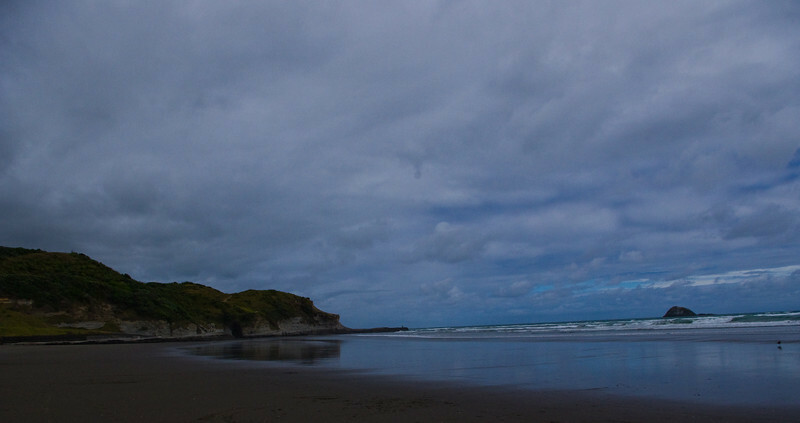 This beach has a pretty easy name, Muriwai. It was a little over cast and pretty cloudy but we didn't let that take any of the fun out of the trip. The drive was only about 35mins or so from Auckland and it was well worth it. The beach was really nice, and lots of neat little places to explore around it. We could see from one of the out crops another beach around the corner; maybe next time we go we will have to figure out how to get there. Matt wanted to surf but the break was really messy. We did how ever go for a nice refreshing brisk swim. We wrapped up the afternoon with some sand drawings and then made our way back to Auckland.